This article is part of our special report Payments services directive II. The Payment Services Directive (PSD) was adopted by the EU Council of Ministers in March 2007, but an explosion in e-commerce through the internet and the ownership and use of smartphones has taken place since then. In response to the challenge posed by technology to traditional payments methods, the Commission published a green paper called: ‘Towards an integrated European market for card, internet and mobile payments,’ as a precursor to further rules changes. Following a consultation period an updated Payment Services Directive (PSD II) was published this summer (July 24), with a separate regulation on multilateral interchange fees (MIFs). At the end of 2005, the then Internal Market Commissioner, Charlie McCreevy, launched a legislative initiative to remove obstacles in EU payment markets. After months of fierce debate, the Payment Services Directive (PSD) was adopted by the EU Council of Ministers in March 2007. The dispute pitted the UK and Sweden against the Mediterranean bloc of France, Italy and Spain. The former trumpeted a more liberal approach to regulatory requirements for non-bank service providers, while the latter fought for a stricter set of rules, in particular concerning the granting of credit. The final deal obliged non-bank providers to limit the duration of cross-border credit conceded to 12 months, but did not introduce any time restrictions for national operations (see EURACTIV 27/03/07). Whilst the original PSD was being transposed, however, an explosion in e-commerce through the internet and the ownership and use of smartphones was under way. These have led to new payment applications, for example electronic purses, replacing wallets and physical cards, or virtual public transport tickets stored in a mobile phone. Online shopping in Europe accounted for €141 million in 2009 and was expected to rise to €190 million by 2014. This identified market access and entry for existing and new service providers, security and data protection, transparent pricing, standardisation and inter-operability between service providers as key issues. Proposals to update the PSD were pusblished by the Commission in July 2013. At the same time the Commission is published a draft regulation on multilateral interchange fees (MIFs) levied when payments are made cross-border or within member states. The PSD is often mentioned in the same breath as the Single Euro Payments Area (SEPA) but the two are in fact separate, because SEPA began as a voluntary initiative of the European banking industry. The industry created a consortium, the European Payments Council, to define how SEPA would work in practice. The Payment Services Directive (PSD) aims to create a true European market for payments that would ideally lower the costs for both consumers and payment institutions of carrying out payments. The directive is also key for the establishment of SEPA, which seeks to introduce the same procedures and obligations across the EU for credit transfers, direct debits and payment cards (to learn more about the difference between SEPA and the PSD, see EURACTIV 24/07/08). The primary objective of the directive is to tear down the legal and technical barriers that have thus far prevented the creation of a European market for payment services. The new directive could also see €6 billion annual savings for retailers – as a result of caps on interchange fees (see below) – according to the EU executive, although this figure is disputed. The Commission hopes that the estimated €6 billion each year that it believes will accrue to retailers will translate into price cuts for consumers. In addition the new rules will prohibit surcharging on internet transactions such as additional charges levied for paying by card for airline flights purchased online. The EU executive believes that this prohibition will save consumers €730 million annually. The rules will primarily affect Visa Europe and MasterCard, but branded commercial cards issued by retail outlets will not be covered, nor will commercial transactions, and American Express, which operates differently from its rivals, will also be largely unaffected. The proposals also include data protection, security and liability requirements for non-bank companies that offer online payment services, in an attempt to capture new internet payment systems within the regulatory framework. An unconditional refund right for direct debit payments will offer consumers the right to demand refunds from banks where a company does not fulfil its contractual obligations. In general, the European Commission predicts that higher competition in payment services will increasingly lead consumers to choose electronic instruments (plastic cards, smart cards or mobile phones) for their purchases, contributing to the progressive elimination of cash. The Commission estimates that payment-related costs amount to around 3% of GDP and are driven mainly by cash-related expenses. Getting rid of coins and notes would generate "enormous" savings for the EU economy, it argues. Cash is expensive because it has higher production costs and is arguably not as safe. Stealing physical money is easier than stealing electronic credit, the argument goes. For example, the Commission says the cost of a transaction in cash is calculated at between 30 and 55 euro cents, which is already charged by retailers within the price of the product. By contrast, it estimates that electronic payments only cost a few euro cents. SEPA's raison d'être, like all economies of scale, is the bigger the better. The more merchants, retailers and consumers use SEPA, the more payment institutions will want to migrate as soon as possible. The implementation of SEPA, which seeks to introduce the same procedures and obligations across the EU for credit transfers, direct debits and payment cards, remains patchy across the EU. A clear timeline specifies when the rules need to be implemented in all member states. For the euro area, the final deadline is 1 February 2014. The deadline for euro-denominated payments in non-euro area countries will be 31 October 2016, however. However even within the eurozone countries there are some doubts that full implementation will be possible by February next year. In Italy, for example, implementation has been slow. There are also a host of local cultural considerations that SEPA must overcome. For example in Germany, the phase out of popular local debit card payment procedures (Elektronisches Lastschriftverfahren ELV), used in retail and internet payments, may be troublesome. Germany will also the need to adapt some 700 million direct debit authorisations to SEPA standards. In France on the other hand, cards are one of the main means of payments, but the country also retains the strongest use of paper cheques, which have now disappeared from many other member states. 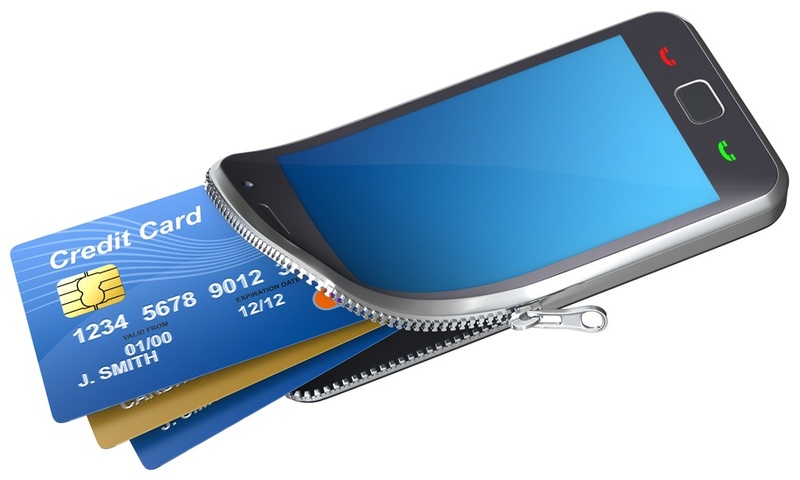 Nevertheless, once in place, there is expected to be a radical transformation of payments. Indeed large suppliers of electricity and telecommunications are likely to start to make payments under SEPA this year. In Japan, all you need for shopping on a Saturday is your mobile phone. When making a purchase, the telephone is passed over a reading machine which, interacting with chips or smart cards embedded in the handset, executes the payment and deducts it from the remaining credit. In London, paying for the Tube in cash is already old-fashioned as the large majority of commuters use pre-paid contactless smart cards (the Oyster card) to access the Underground. A growing number of supermarkets across the world provide customers with their own payment cards to shop in their stores. These are often actual credit instruments, which are increasingly used by the average consumer. Money remitters, which help immigrants transfer credit back home to their relatives, are providing their customers with mobile phone payments more often. Thus transferring money to the other side of the world takes as much time and effort as sending a text message. All these new systems have been hovering over continental Europe for years but are still far from being applied on a large scale. One of the purposes of the update to the PSD is to remove barriers to market entry for new payment service providers such as telecoms operators, supermarkets or money remitters. The aim is to increase competition within national markets as well as cross-border activities, which are most affected by the lack of a clear legal framework. However, banks risk facing strong competition from a range of new actors. Consumers may prefer to use their mobile handsets for the payment functions currently managed by banks. On the other hand, opportunities for banks are also at hand, the Commission argues. Banks feared the introduction of online accounts would close their high street branches, but this never happened. Credit card firms recognise that they stand to benefit from an increased shift to electronic payments. In the meantime the Commission has conducted a long series of antitrust investigations in the payment card market, targeting in particular Multilateral Interchange Fees (MIFs). These are fees charged by a cardholder's bank to a merchant's bank for each sales transaction made at a merchant outlet with a payment card. In payment schemes such as Visa and MasterCard, which are associations of banks, these fees are multilaterally agreed by member banks. The Commission opened proceedings against Visa in March 2008 concerning MIFs for consumer debit and credit card transactions. A commitment by Visa to cap its debit card MIFs at 0.20% was made binding in December 2010, but proceedings relating to consumer credit MIFs continued, until commitments made by Visa to cap its inter-bank credit charges at 0.3% of the value of the transaction in May 2013, which have met with an inititally positive response from the EU executive. Such a cap may thus become legally binding later this year. Meanwhile the Commission has also been investigating MasterCard, and recently opened new proceedings investigating its inter-bank fees and cross-border acquiring. Under the regulation on multilateral interchange fees (MIFs) new MIF caps – 0.2% and 0.3% of the transaction value for debit cards and credit cards respectively – will apply from the date of entry of the new rules on cross-border transactions, with domestic transactions within member states to follow suit within two years. MIFs are charges paid by a retailer to a cardholder’s bank as part of an electronic payment card transaction, whether through a debit or a credit card. Nominally, they are designed to share the cost of processing payment card transactions between buyers and sellers. “Europe has an opportunity to be at the cutting edge of what ‘making a payment’ could mean in the future. However, we will not be able to reach this goal with the current level of market fragmentation,” said Internal Market and Services Commissioner Michel Barnier. “Secure, efficient, competitive and innovative electronic payments are crucial for consumers, retailers and companies to fully enjoy the benefits of the single market as well as to drive the growth of e-commerce. The consultation we are launching today is fully in line with the Commission's mandate focusing on growth and job creation and building on the achievements already made in the field of retail payments,” Barnier said. "Inefficient payments systems within the European Union unduly raise transaction costs; undermine the global competitiveness of the European economy and limit its potential for growth,” Competition Commissioner and Vice President Joaquín Almunia said. “Europe's consumers, merchants and companies deserve payment services in tune with the 21st century: transparent, with genuine value-added and making the best use of our technologies." “While we support the Commission’s goals, we are concerned that some of the legislative proposals introduced today, such as the caps on interchange fees and restrictions on the Honour-All- Cards Rule, do not support these goals and will actually harm and inconvenience consumers and small merchants, as well as hinder competition and innovation in the European payments landscape,” said Javier Perez, president of MasterCard Europe. “We look forward to working with the Commission, the EU Parliament and the EU Council of Ministers during the legislative process to help create a regulatory framework that promotes the growth of electronic payments while preserving the value of electronic payments for both consumers and merchants,” Perez said. “The package is broadly welcomed by merchants. These proposals are a very significant step to bring competition and transparency into how payments are made and paid for. They should allow retailers to pass savings on to consumers, bringing them real benefits in these times of hardship,” said Christian Verschueren, director-general of EuroCommerce. “Claims by card schemes that retailers would not pass on cost savings to consumers are nonsensical: price competition and the elimination of inefficiencies are in the DNA of retailers. The proposed MIF caps and other measures will give merchants more control over costs, and consumers choice of payment options. However, the proposals fall short of the ideal: merchants had hoped for the abolition of the MIF as a concept, certainly on debit,” Verschueren added. “We welcome the proposed changes to make the European card payments market more competitive and the cap on the interchange fee,” said Dennis Kredler, the director-general of the European Retail Round Table. “We strongly welcome the European Commission’s proposal on Multilateral interchange fees which addresses a long-standing issue and aims to ensure a fair, transparent and competitive payment service market,” said Ian Cheshire, chief executive of Kingfisher PLC, Europe’s largest home improvement retail group. “Regrettably for the eight million people running online businesses from home, the European Commission’s proposals on interchange may prove to be extremely detrimental. SMEs are reliant on business credit cards as a source of finance, yet these proposals are likely to result in escalating charges for card transactions, hampering the UK’s profits and future competitiveness,” said Andrew McClelland, the chief operations officer of IMRG, the UK’s industry association for online retail. “Businesses will be disappointed with the European Commission’s 'one-size-fits-all approach' to interchange regulation. The UK has the most mature card payments economy in the EU and these proposals fail to take this into account. Any regulation must be undertaken by the UK government and parliament, not a body that does not directly represent or understand our best interests,” according to Matthew Elliot, chief executive of NGO Business for Britain. “Payment methods which are now commonplace, did not exist only a few years ago. When laws do not keep pace, shoppers can lose out. For consumers the equation is easy – they want secure, cheap and simple means of payments. These new laws pave the way for this in the future,” said Monique Goyens, director-general of European consumer federation BEUC. “Interchange fees are a convenient income for banks and card companies. But they prevent new players offering cheaper and more secure solutions from entering the market as it would mean less revenue for banks. Slashing the level of interchange fees should boost innovation and competition. That unfair surcharges are to become a thing of the past is good news. Companies have shamelessly used them to reap extra profit from people paying by card. Such practices rightly annoyed Europe’s consumers as they essentially punished them when making a payment,” Goyens added. “The European Commission’s plan to regulate interchange fees is purely mechanical, since the costs of the system will not be reduced – so far the interchange fees have been divided between merchants and consumers, but according to the regulation interchange fees would need to be covered fully by card owners. Hence limiting and unifying interchange fees will instead bring an increase in costs for consumers, forcing card issuers (financial institutions) to increase prices for consumers,” said Enn-Toivo Annuk, the chairman of the Estonian Consumers Union. “The Estonian Consumer Protection Association’s position is that reduction and fixation of interchange will in the end harm the interests of consumers, increasing costs and decreasing benefits. Estonian Consumer Protection Association does not consider that regulating interchange fees is substantiated,” Annuk said. “Our call is that the EU Commission legislate taking into account the following issue: every new measure has to simplify and lighten the lives of the users. In this particular case, the new measure should promote the development of e-money in an incentive and not penalising way. It is important to remember that traceability is the first step to fight black economy,” said the vice-president of Federconsumatori, a non-profit association focused on information, consumers and users’ protection. “Reducing fees is not the right way to go because this will severely impact consumers. We've already seen this in Spain, in the USA and in Australia,” remarked Antonio Longo, the president of the Italian consumer group Movimento Difesa del Cittadino, Antonio Longo. “We are indeed convinced that the costs of annual credit card fees will rise, to a large extent, for consumers. We are not the ones saying it, but rather the failed experiences of Spain, Australia and the United States: countries where national laws brought down interchange fees. The result was an imbalance in costs to the detriment of citizens, who not only did not benefit from any price reduction, but even had to spend 50% more for holding their cards as was the case in Spain between 2006 and 2010,” Longo added. “Experience indeed shows that merchants do not pass fee reductions on to consumers as expected by regulators and consumer organisations. We have seen this in countries like Australia or Spain where Multi-lateral Interchange Fees have been capped. Moreover capping interchange fees is likely to have a negative impact on future innovation,” said Sébastien de Brouwer, the European Banking Federation’s (EBF) executive director, responsible for economic and social policy. Taking into account on-going proceedings and the judgment of the European Court in this area, de Brouwer said the EBF argues that legislative intervention is not required. “This issue has been under the scrutiny of competition authorities since 1984, which in a consistent manner, at national and European level, require full transparency and disclosure on the levels and methodologies used for calculating interchange fees in markets,” de Brouwer concluded. The Spanish Banks, Saving Banks and Insurance Users Association (ADICAE), a non-profit association focused on information, consumers and users’ protection, claimed in a statement that the European Commission’s recast of the payment services directive and the regulation on interchange fees will only favour large merchants and banks and not consumers and small merchants. In this context ADICAE will oppose to both proposals at the different European institutions that will debate and adopt such legislation. The executive director of the Fair Banking Association of Lithuania, K?stutis Kupšys, said that the Commission’s ambition to reduce the tax burden for consumers is to be welcomed, but the chosen technique raises doubts whether the desired result will be achieved. "The European Commission does not explain nor guarantee that these savings will actually be passed on to consumers," Kupšys. “Retailers and consumers have been waiting for this proposal for too long already. The ongoing rip-off with card payments must stop. Merchants charge €10.5 billion of transaction fees annually. €4.9 billion goes to debit card providers, credit card providers do even receive €5.7 billion. In an internal market it is not acceptable that credit card payments in Germany are charged with a 1.8% fee, while in France only 0.5% are charged. Ultimately, it will be the consumers paying those fees,” said MEP Sven Giegold, the Greens’ spokesperson on economic and monetary affairs. “The European Parliament and the European Council now have to swiftly pick up the legislative work on the dossiers in the interest of European consumers. The Greens will keep pressing for more democratic procedures to implement rules for payment transactions. Until now the European Payments Council (EPC) adopts standards for the industry without any involvement of retailers, merchants or consumers. More democracy and competition are urgently needed,” Giegold said. 1 Dec. 2005: Commission proposal on a Payment Services Directive (PSD). 13 Nov. 2007: Adoption and publication of the Payment Services Directive in the EU Official Journal. 1 Nov. 2009: First deadline for the introduction of the Single Euro Payment Area (SEPA) instrument for direct debits. 1 Nov. 2009: First deadline for the implementation of the Payment Services Directive in EU member states. 24 Nov. 2009: European Payments Council and the Money Forum sign an agreement to support the uptake of mobile payments. 30 Nov. 2009: Retailers and consumer groups give SEPA a guarded welcome. Mid 2010: Second deadline for the implementation of the Payments Services Directive in EU member states. 31 Dec. 2010: Deadline for the replacement of current credit cards with SEPA-compliant cards. EURACTIV Poland:Dyrektywa w sprawie us?ug p?atniczych (PSD): Koniec ery gotówki?